As winners, Atlético Madrid earned the right to play against the winners of the 2017–18 UEFA Champions League, Real Madrid, in the 2018 UEFA Super Cup. Moreover, they would also have been automatically qualified for the 2018–19 UEFA Champions League group stage, but since they had already qualified through their league performance, the berth reserved was given to the third-placed team of the 2017–18 Ligue 1, the fifth-ranked association according to next season's access list. Manchester United qualified for the 2017–18 UEFA Champions League as the title holders of Europa League. They were unable to defend their title as they qualified for the Champions League knockout phase. As the winners of the 2016–17 UEFA Europa League, Manchester United qualified for the 2017–18 UEFA Champions League; the 2017–18 UEFA Europa League berth they would otherwise have earned for finishing 6th in the 2016–17 Premier League was vacated and not passed to another English team. Moreover, 33 teams eliminated from the 2017–18 UEFA Champions League are transferred to the Europa League. Starting from this season, Gibraltar are granted two spots instead of one in the Europa League. Kosovo, who became a UEFA member on 3 May 2016, made their debut in the UEFA Europa League. For the 2017–18 UEFA Europa League, the associations are allocated places according to their 2016 UEFA country coefficients, which takes into account their performance in European competitions from 2011–12 to 2015–16. The domestic cup winners of association 13 (Czech Republic) are promoted from the third qualifying round to the group stage. The domestic cup winners of association 18 (Poland) are promoted from the second qualifying round to the third qualifying round. The domestic cup winners of associations 25 and 26 (Scotland and Azerbaijan) are promoted from the first qualifying round to the second qualifying round. Notably two teams take part in the competition that are not playing in their national top division, Tirana (2nd tier) and Vaduz (representing Liechtenstein, playing in Swiss 2nd tier). 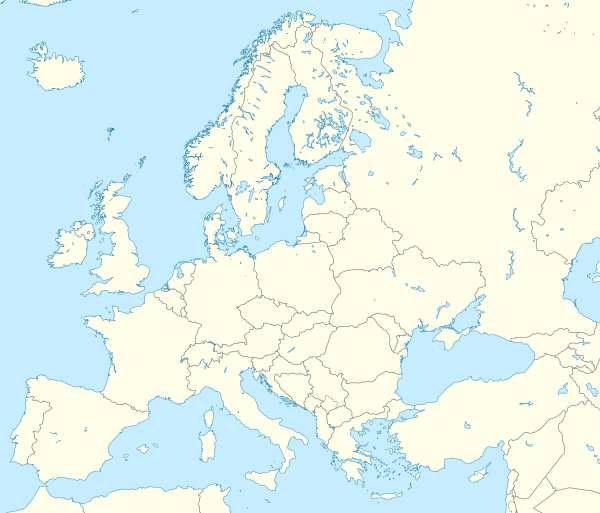 ^ Republic of Ireland (IRL): Derry City are a club based in Northern Ireland, but participate in the Europa League through one of the berths for the Republic of Ireland (any coefficient points they earn count toward Republic of Ireland and not Northern Ireland). ^ Romania (ROU): Voluntari would have qualified for the Europa League third qualifying round as the winners of 2016–17 Cupa României, and CFR Cluj would have qualified for the second qualifying round as the fourth-placed team of the 2016–17 Liga I, but both failed to obtain a UEFA licence. As a result, the third qualifying round berth was given to the fifth-placed team of the league, Universitatea Craiova, and the second qualifying round berth was given to the sixth-placed team of the league, Astra Giurgiu. The draw for the first qualifying round was held on 19 June 2017, 13:00 CEST. The first legs were played on 29 June, and the second legs were played on 4 and 6 July 2017. ^ a b c d e f Order of legs reversed after original draw. The draw for the second qualifying round was held on 19 June 2017, 14:30 CEST (after the completion of the first qualifying round draw). The first legs were played on 12 and 13 July, and the second legs were played on 20 July 2017. The draw for the third qualifying round was held on 14 July 2017, 13:00 CEST. The first legs were played on 27 July, and the second legs were played on 2 and 3 August 2017. The draw for the play-off round was held on 4 August 2017, 13:00 CEST. The first legs were played on 16 and 17 August, and the second legs were played on 24 August 2017. Location of teams of the 2017–18 UEFA Europa League group stage. The draw for the group stage was held on 25 August 2017, 13:00 CEST, at the Grimaldi Forum in Monaco. The 48 teams were drawn into twelve groups of four, with the restriction that teams from the same association cannot be drawn against each other. For the draw, the teams were seeded into four pots based on their 2017 UEFA club coefficients. In each group, teams played against each other home-and-away in a round-robin format. The group winners and runners-up advanced to the round of 32, where they were joined by the eight third-placed teams of the 2017–18 UEFA Champions League group stage. The matchdays were 14 September, 28 September, 19 October, 2 November, 23 November, and 7 December 2017. A total of 29 national associations were represented in the group stage. Arsenal, Atalanta, Fastav Zlín, 1899 Hoffenheim, İstanbul Başakşehir, 1. FC Köln, Lugano, Milan, Östersund, Real Sociedad, Red Star Belgrade, Vardar and Vitesse made their debut appearances in the UEFA Europa League group stage (although Milan and Red Star Belgrade had appeared in the UEFA Cup group stage). Vardar were the first team from Macedonia to play in either the Champions League or Europa League group stage. ^ a b Head-to-head results: Sheriff Tiraspol 0–0 Copenhagen, Copenhagen 2–0 Sheriff Tiraspol. The draw for the round of 32 was held on 11 December 2017, 13:00 CET. The first legs were played on 13 and 15 February, and the second legs were played on 21 and 22 February 2018. The draw for the round of 16 was held on 23 February 2018, 13:00 CET. The first legs were played on 8 March, and the second legs were played on 15 March 2018. The draw for the quarter-finals was held on 16 March 2018, 13:00 CET. The first legs were played on 5 April, and the second legs were played on 12 April 2018. The draw for the semi-finals was held on 13 April 2018, 12:00 CEST. The first legs were played on 26 April, and the second legs were played on 3 May 2018. The final was played at the Parc Olympique Lyonnais in Décines-Charpieu on 16 May 2018. The "home" team (for administrative purposes) was determined by an additional draw held after the semi-final draw. Votes were cast by coaches of the 48 teams in the group stage, together with 55 journalists selected by the European Sports Media (ESM) group, representing each of UEFA's member associations. The coaches were not allowed to vote for players from their own teams. Jury members selected their top three players, with the first receiving five points, the second three and the third one. The shortlist of the top three players was announced on 9 August 2018. The award winner was announced during the 2018–19 UEFA Europa League group stage draw in Monaco on 31 August 2018. ^ a b "Antoine Griezmann named Europa League Player of the Season". UEFA.com. Retrieved 31 August 2018. ^ "Lyon to host 2018 UEFA Europa League final". UEFA.com. Union of European Football Associations. 9 December 2016. Retrieved 9 December 2016. ^ a b c "Regulations of the UEFA Europa League 2017/18 Season" (PDF). UEFA.com. 4 April 2017. ^ a b "Timeline for UEFA Presidential elections decided". UEFA. 18 May 2016. ^ "Gibraltar gains an additional spot in the Europa League". Gibraltar Football Association. 20 September 2016. ^ "Country coefficients 2015/16". UEFA.com. ^ "UEFA Country Ranking 2016". Bert Kassies. Retrieved 28 May 2016. ^ "The 2017/18 Europa League group stage as it stands". UEFA.com. 30 May 2017. ^ "Who is in this season's UEFA Europa League?". UEFA.com. 13 July 2017. ^ "УЕФА отхвърли молбата на БФС за участие на ЦСКА-София в евротурнирите". Bulgarian Football Union. 29 May 2017. Archived from the original on 2017-06-01. Retrieved 2017-05-30. ^ "Решение СТК 01.06.2017 г". Bulgarian Football Union. 1 June 2017. Archived from the original on 2017-06-05. Retrieved 2017-06-03. ^ "Становище на СТК". Bulgarian Football Union. 2 June 2017. Archived from the original on 2017-06-05. Retrieved 2017-06-03. ^ "CAS rejects request for interim measures in the arbitration PFC CSKA Sofia / UEFA" (PDF). Court of Arbitration for Sport. 16 June 2017. ^ "Огромна изненада: УЕФА изкара ЦСКА-София и вкара Дунав в Европа". sportal.bg. 19 June 2017. ^ "FFK: Besa nuk do të përfitojë nga UEFA, paratë e Kupës së Kosovës i shkojnë Prishtinës". almakos.com. 30 May 2017. ^ "Birkirkara FC denied UEFA license, Valletta FC to play Europa League". Malta Today. 9 May 2017. ^ "Federaţia Română de Fotbal a decis cine poate juca la toamnă în cupele europene". adevarul.ro. 19 April 2017. ^ "2017/18 Europa League match and draw calendar". UEFA.com. 11 January 2017. ^ a b "Seeding in the Europa League 2017/2018". Bert Kassies. Archived from the original on 2017-05-28. Retrieved 2017-05-08. ^ a b "First and second qualifying rounds draw". UEFA. ^ "Third qualifying round draw". UEFA. ^ "Play-off round draw". UEFA. ^ "Europa League group stage number crunching". UEFA.org. Union of European Football Associations. 25 August 2017. ^ "Round of 32 draw". UEFA.com. ^ "Full Time Summary Final – Marseille v Atlético Madrid" (PDF). UEFA.com. Union of European Football Associations. 16 May 2018. Retrieved 16 May 2018. ^ "Statistics — Tournament phase — Players — Goals". UEFA.com. Union of European Football Associations. Retrieved 16 May 2018. ^ "Statistics — Tournament phase — Players — Goals (Assists)". UEFA.com. Union of European Football Associations. Retrieved 16 May 2018. ^ "Europa League Player of the Season Contenders". UEFA.com. UEFA.com. 9 August 2018. Retrieved 9 August 2018.